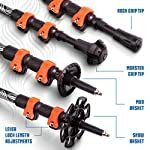 STRONG, LIGHTWEIGHT, EASY ADJUST – Made with aerospace-grade 7075 aluminum and weigh only 8.5 ounces each. 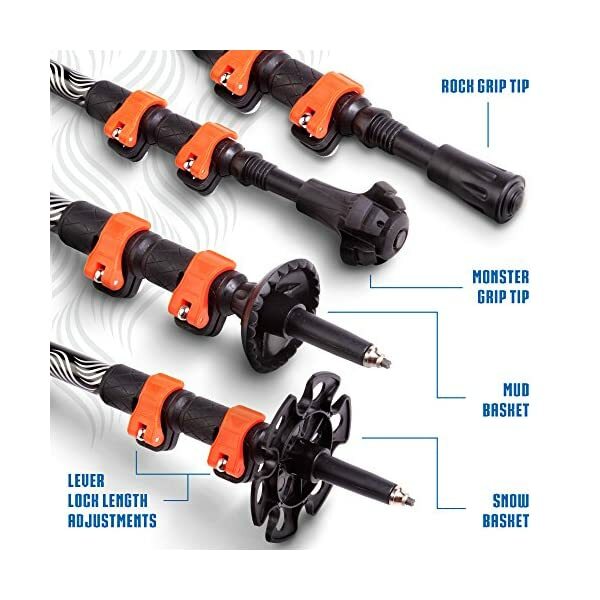 Lever Locks that do not jam and are simple & easy to adjust. 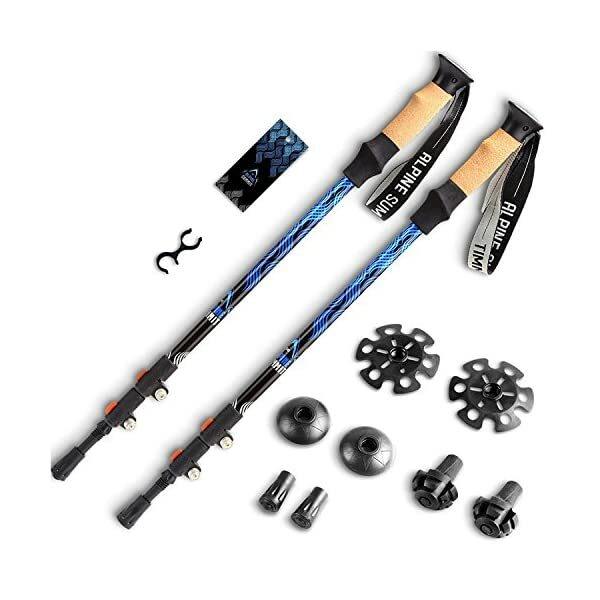 Climb the highest mountains with these Alpine Summit Trekking Poles. 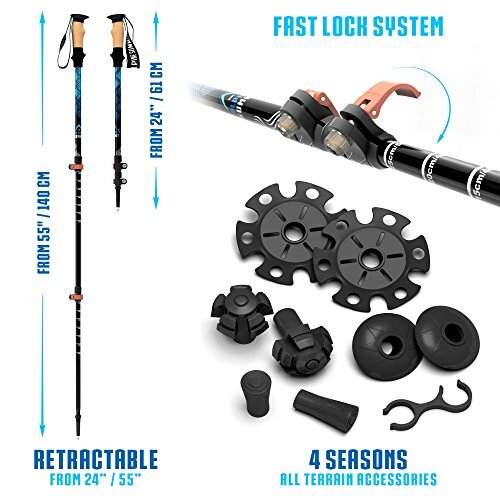 Each and every hiking pole will also be adjusted in length from 66-135 cm (25.5″ to 53″) by unlocking our flip-Lock mechanism which is built to quickly adjust at the same time as preventing accidental retraction. 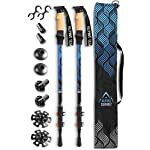 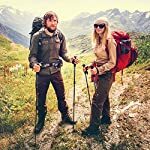 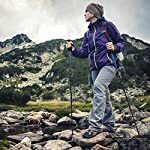 Hiking poles come with mud/snow feet which quickly attach to the bottom to prevent the poles from sinking into softer material. 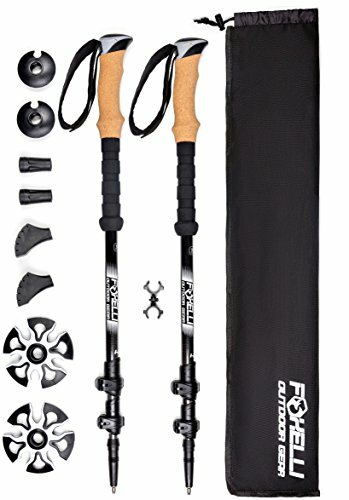 Because these collapsible poles weigh only 8.5 ounces and retract to 25.5″ they’re easily stored when not in use. 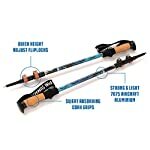 These poles are suitable for women and men, and make great gifts! 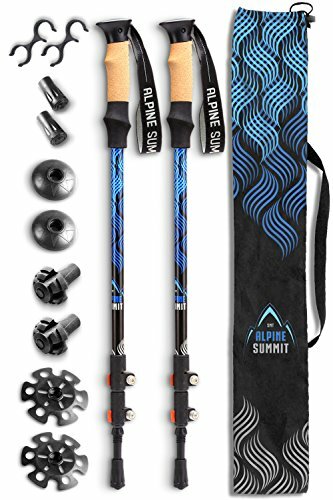 Take your next hike to new heights with Alpine Summit! 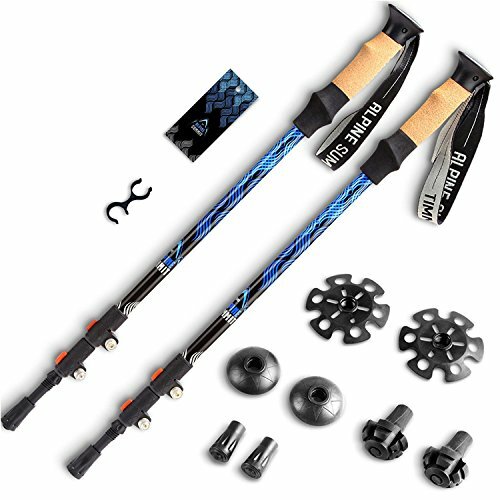 STRONG, LIGHTWEIGHT, EASY ADJUST – Made with aerospace-grade 7075 aluminum and weigh only 8.5 ounces Each and every. Lever Locks that don’t jam and are simple & easy to adjust. 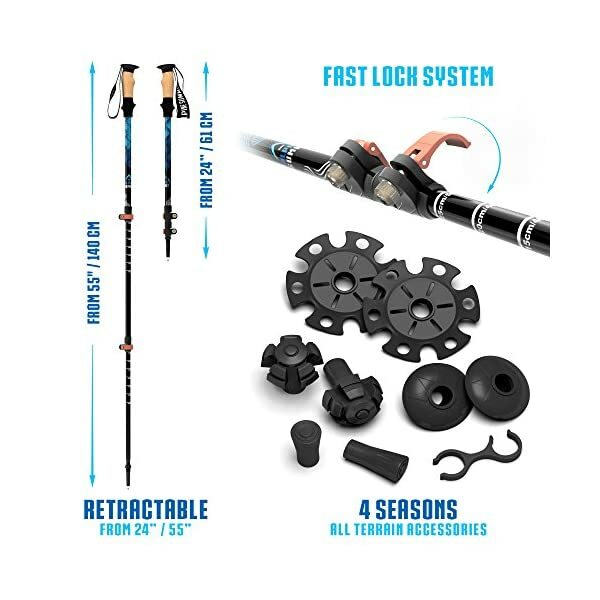 ADJUSTABLE HEIGHT – TELESCOPIC POLES with LEVER LOCKS- Adjustable from 25.5 to 53 inches featuring a very easy and reliable lever lock height adjustment. 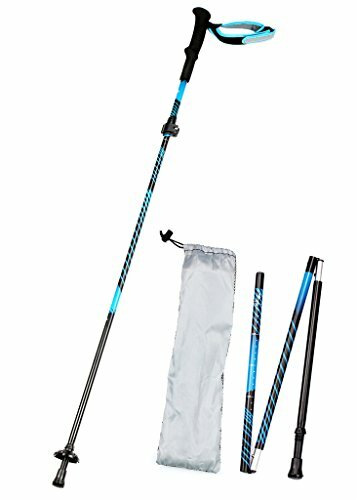 Perfect for everyone from short to tall. 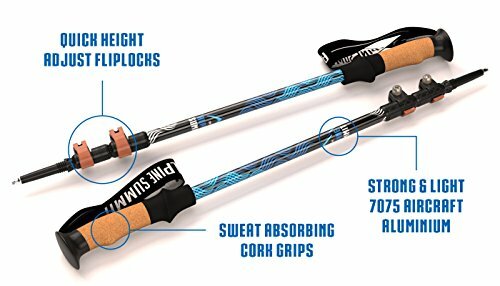 COMFORTABLE CORK / EVA GRIPS- Hand conforming cork handles provide all-day sweat-absorption & comfort. 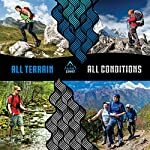 The soft, adjustable hand-straps help in holding your hands in the proper position for effortlessly gripping the poles on long hikes. 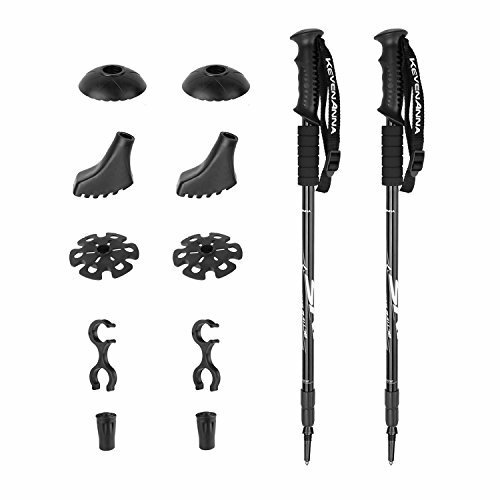 ALL TERRAIN – Tackle any terrain with the tungsten-tipped ends, removable rubber ferrules, durable Monster tips, snow baskets, and mud/snow combo baskets. 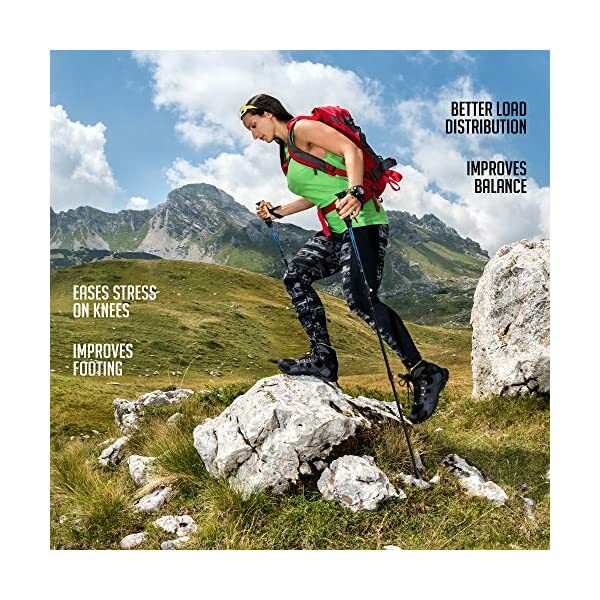 Explore nature’s beauty with increased balance, stability, and endurance! 2 YEAR WARRANTY: Do not fret about missing your 30-day return window. 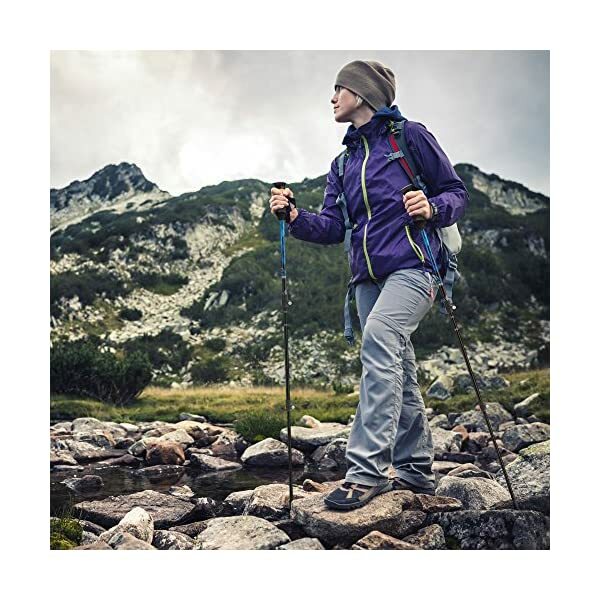 You’re covered against manufacturer defects for 2 full years.